Jeff gives the cats a treat before we leave. 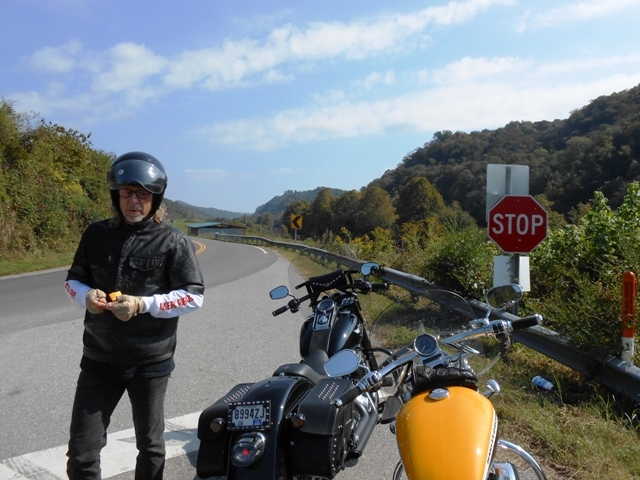 On Wednesday, October 2, 2013, we took another day ride. 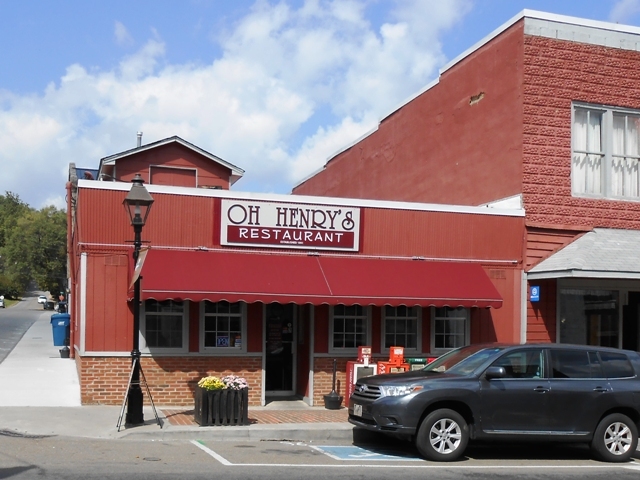 Our destination was lunch at Oh Henry’s in Rogersville, TN- one of our favorite restaurants. 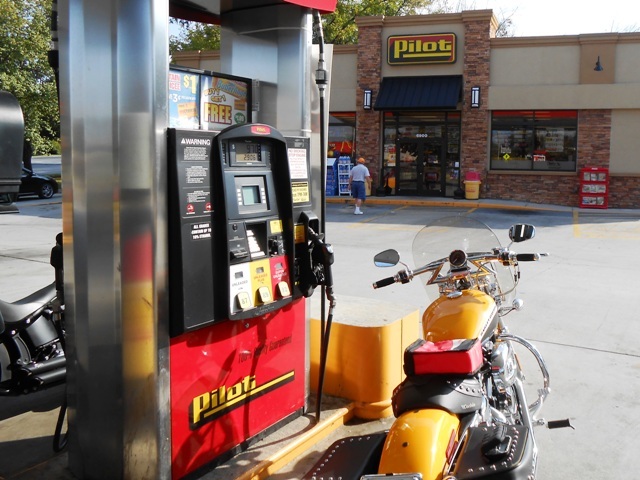 Filling up our tanks at Pilot on Broadway. We left our home in North Knoxville right at 10am. The skies were partly cloudy and it was cool. We rode north on Broadway, filled our tanks, then took 131 in Halls. We rode 131 north. 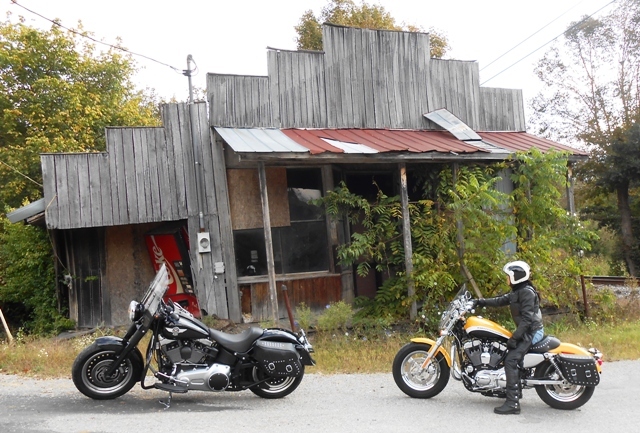 We stopped just south of Washburn at an old dilapidated general store at the cross section of 131 and Dale Road. Abandoned store on Dale Road off 131. We looked in the front windows and were amazed to see the shelves still stocked with dusty old items. Everything about the store was wonky, it wasn’t safe to even stand on the porch. If you know anything about the history of this establishment, we’d love to hear about it! Leave a comment if you like. We continued on 131. The scenery on these back roads is gorgeous. On 131 just before stopping in Washburn. We stopped in Washburn to get a cracker and cold soda. 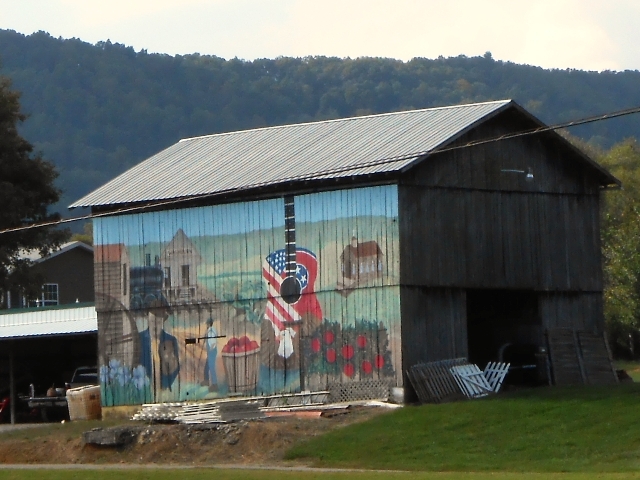 We always enjoy looking at the mural on this barn across from the convenience store. Mural on barn in Washburn. We then continued north until we got to 25E. 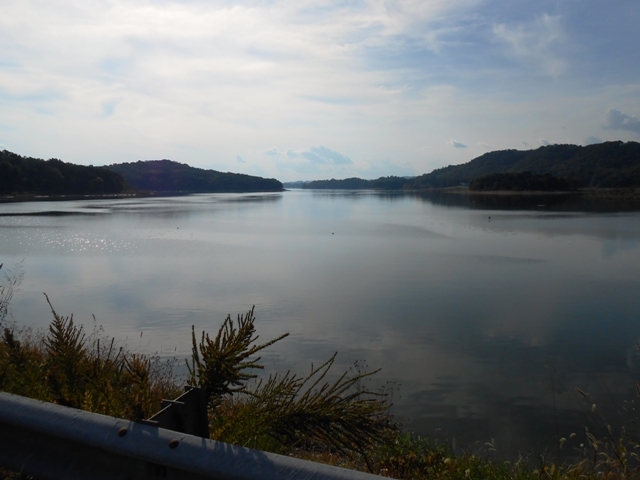 View of water from 25E. 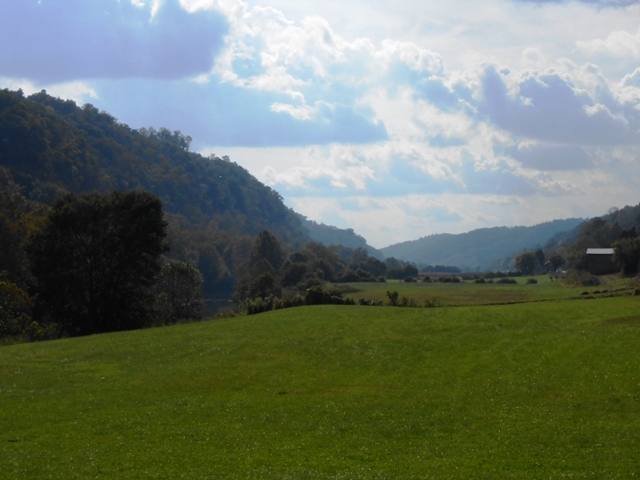 We rode north on 25E for a few miles then took 33 north which runs along the Clinch River. On 33 heading toward Sneedville. 33 took us through Sneedville and then into Kyles Ford. In Kyles Ford we took 70 south stopping along the way to enjoy the view. Highway 70 heading toward Rogersville. 70 took us into the north side of Rogersville. We rode downtown, parked the bikes and went into Oh Henry’s. 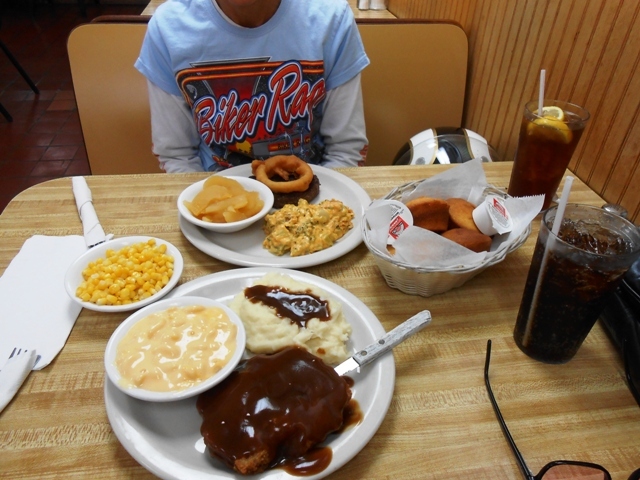 Oh Henry’s Restaurant in Rogersville, TN. As always, the folks were friendly and the food was great. 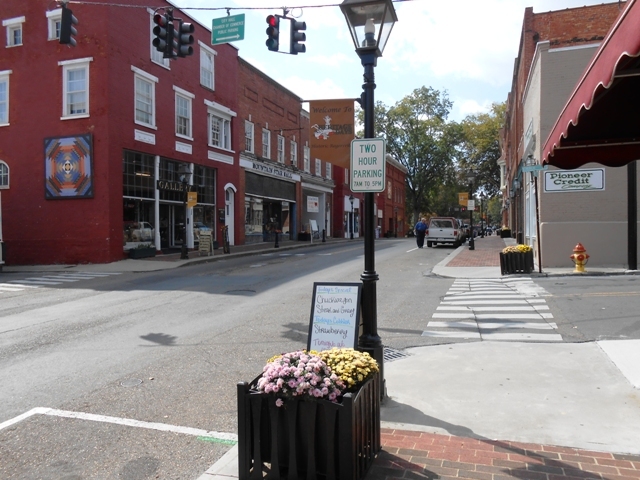 It’s home cooking and if you get to Rogersville, we highly recommend eating here. After lunch, we walked around downtown and snapped some photos. 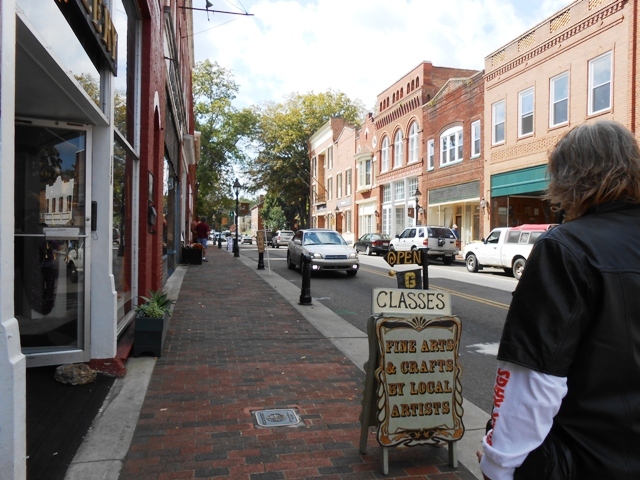 This is an old historic town and just looking at the buildings is fun. 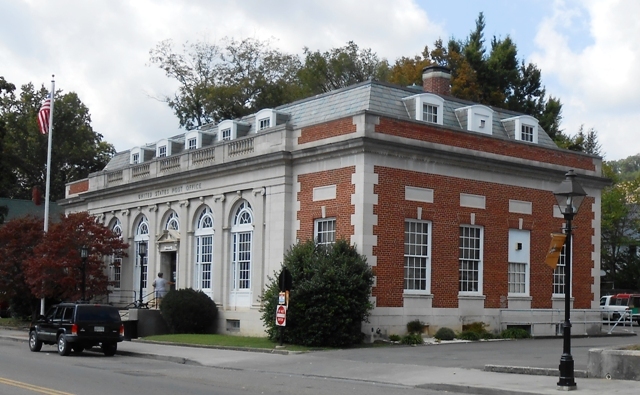 Post office in downtown Rogersville, TN. After walking around awhile, we got back on the bikes and decided to visit Pressmen’s Home. We’ve heard about Pressmen’s Home, but had no idea what to expect. 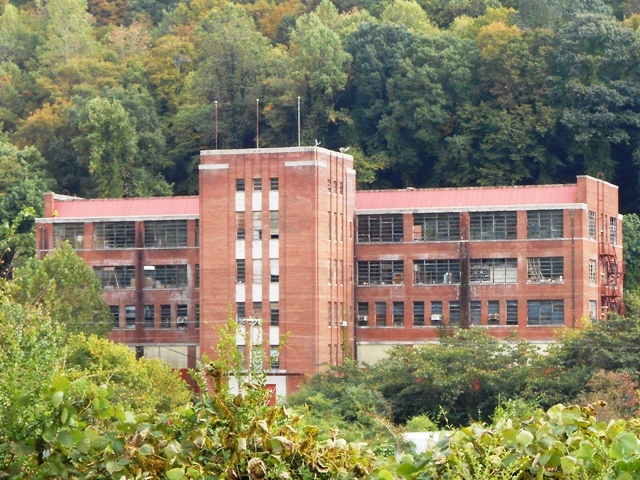 According to Wikipedia, Pressmen’s Home was the headquarters for the “International Printing Pressmen and Assistants Union of North America” from 1911 through 1967. You can see the Wikipedia entry HERE. 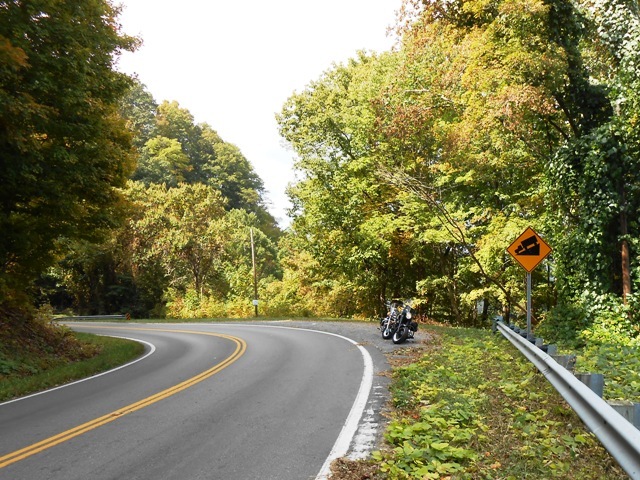 First we rode south on 11W then took 66 north and continued to follow the signs. We finally got on 94 and rode by the Camelot Country Club, a closed facility but still beautiful. It did appear that minimal maintenance is being performed but the area is mostly abandoned. Old golf course at the Camelot Country Club off 94. Just past the Camelot Country Club, we found the Pressmen’s Home water treatment plant. 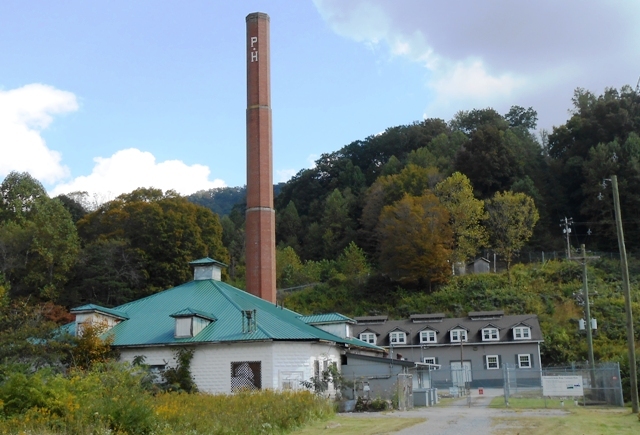 Pressmen’s Home water treatment plant. Next we found the Pressmen’s Home site visible from highway 94. 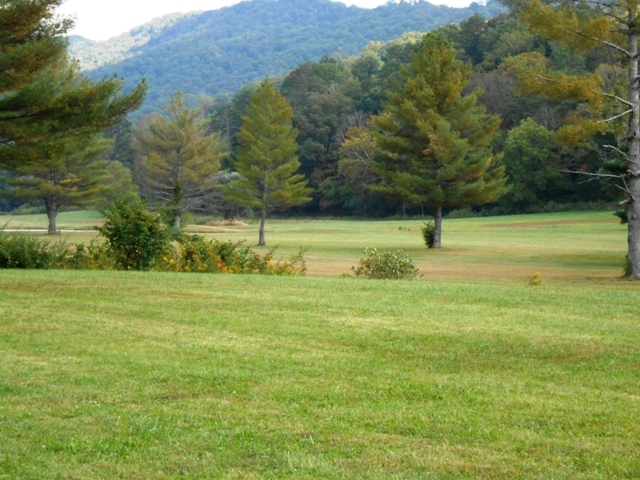 The entire campus originally occupied over 60 acres with the majority of buildings now gone. 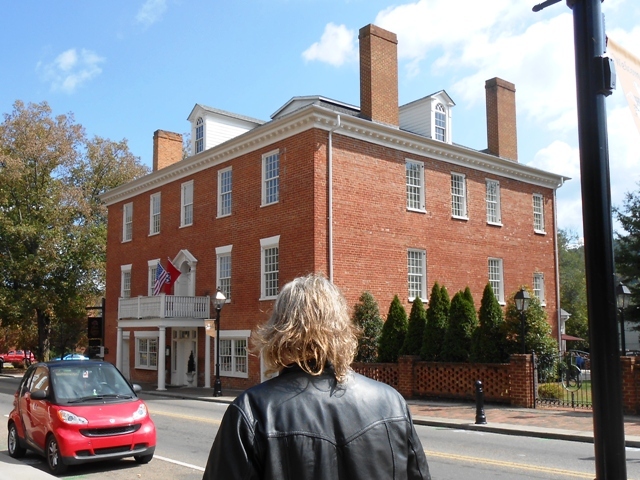 The huge brick building in this next photo was not accessible. No trespassing signs warned visitors not to enter the driveway or surrounding areas. We were able to walk around the campus area across 94 from these buildings. 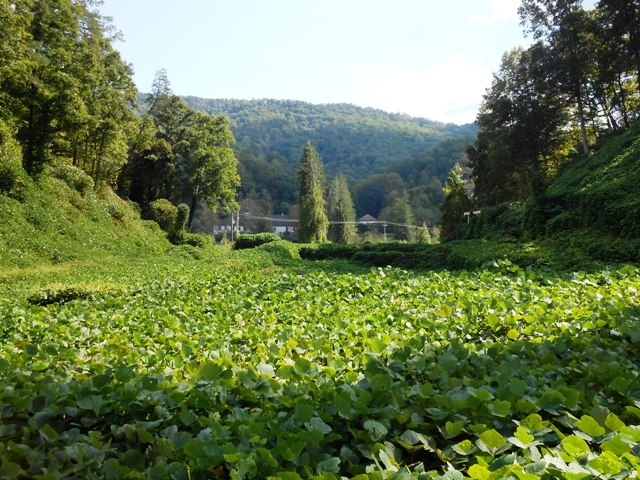 It was mostly filled with kudzu. 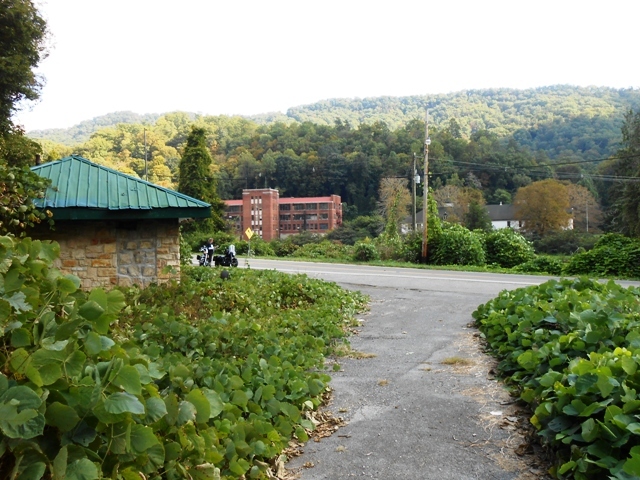 Kudzu fills the abandoned campus. 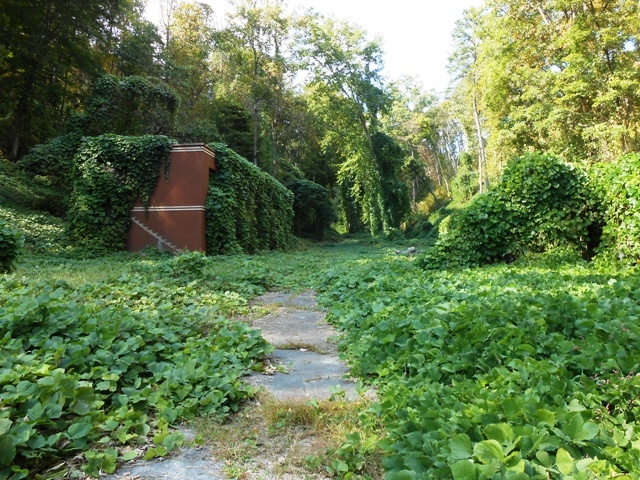 Another view of the kudzu. What was odd is that we could hear people yelling in the tall brick building and saw someone throw something out of the third story window. The whole campus really peaked our interest, so if you have more information to add about the current state of Pressmen’s Home, please share it with us. We did find one exceptionally informative video, uploaded to You Tube by Tim Bass in 2008, about Pressmen’s Home made in 1964 that you can view by CLICKING HERE. 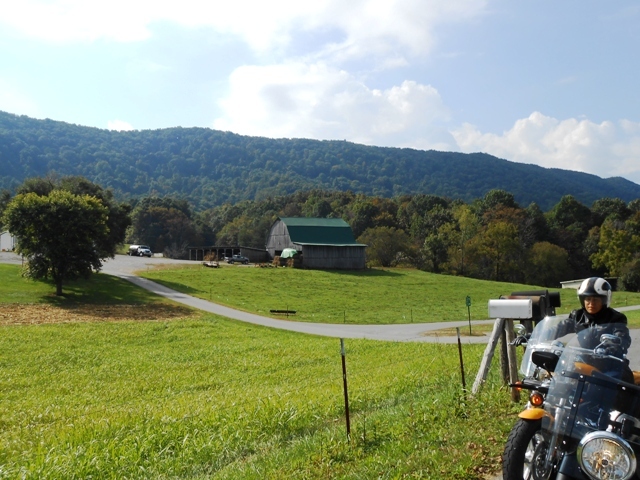 After deciding we had seen all that we could see, we got back on the bikes, took 66 north and rode back to Sneedville. We stopped, got a cold drink and shared a snack with a couple of friendly dogs hanging out at the gas station. View from bridge in Sneedville. We got back on the bikes and took 31 south back to Mooresburg. 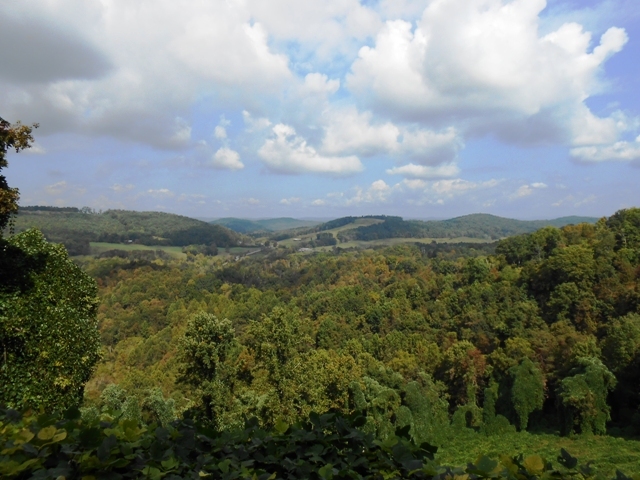 If you enjoy curvy, winding mountain roads, 66 and 31 going to and from Sneedville are almost as extreme as the Dragon. View from bridge on 31. 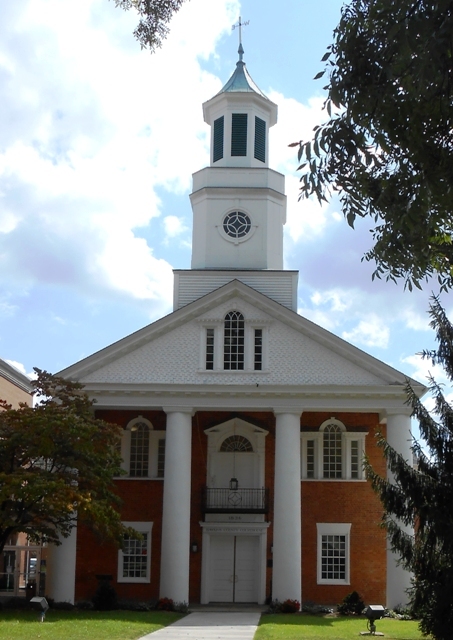 31 took us to 11W, then we rode through Bean Station and took 25E south to Morristown. 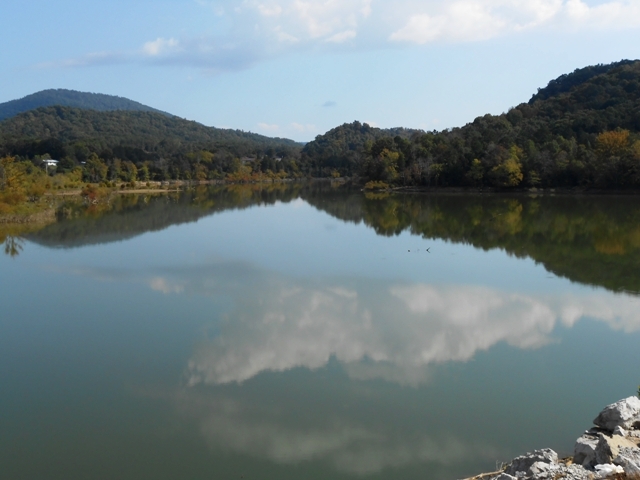 From Morristown, we took 11E, rode through Jefferson City, Strawberry Plains and back into Knoxville. 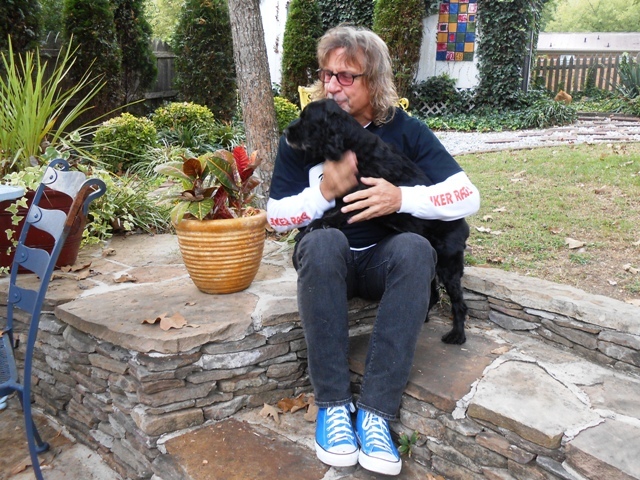 Jeff gets welcome home kisses from Cindy. We got home right at 6:30pm and our total ride was 221 miles. 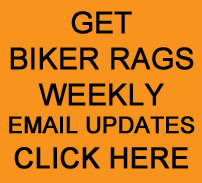 You can see a list of our other Day Rides by CLICKING HERE. This entry was posted in Day Ride and tagged Biker Rags, Camelot Country Club, Oh Henry's, Pressman's Home, Rogersville TN, Sneedville. Bookmark the permalink. Thanks James for the encouragement. Have a great weekend! Nice to hear from you. Thank you for checking out our blog. Hope you are doing well. Say hi to everyone! I read your comment and just started laughing right out loud! I can just see me and Rhonda checking out that old building. Thanks for reading and commenting. Hi Jax. Great hearing from you! Tell your lovely wife hello as well as your brood of cats. We are currently at five and holding. That does sound glorious Carrie! Thanks for stopping by.